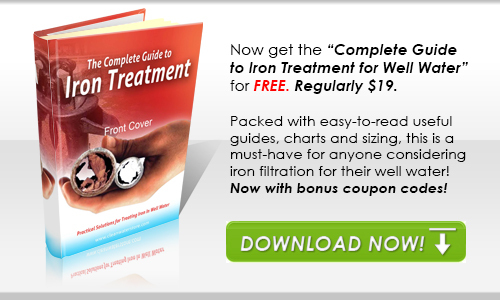 Clean Well Water Report: How Much Chlorine Should I Use to Sanitize a 1000 Gallon Tank? How Much Chlorine Should I Use to Sanitize a 1000 Gallon Tank? I have a 1000 gallon concrete cistern tank that I don’t use that often. Periodically I want to shock chlorinate to kill the bacteria. How much chlorine bleach should I add to sanitize it? Rick – this is a good question. For a strong shock chlorination, 50 PPM of chlorine is added to the tank. The water is then allowed to sit for 12 hours. After 12 hours if the chlorine residual is 10 PPM or greater, the shock chlorination should be repeated. To add 50 PPM of chlorine, using household bleach (which is usually 5% chlorine) you would add 1 gallon of bleach for every 1000 gallons of water. However, 50 PPM is a lot of chlorine and unless your cistern water has a very high chlorine demand and has a lot of iron, odor, sediment or bacteria in it, you might be better off starting with a 5 PPM dose. 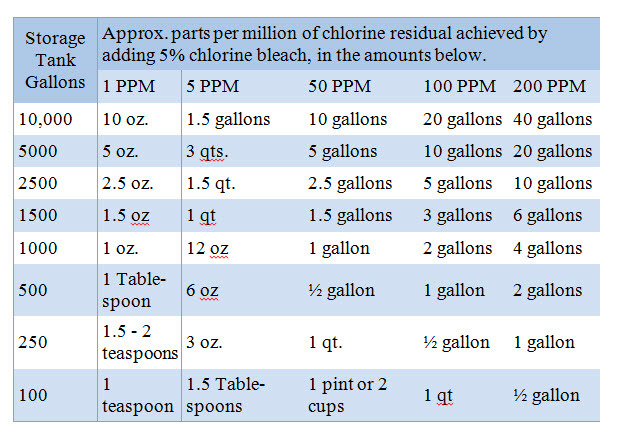 For a 5 PPM dose, use 1 quart of household bleach for every 1000 gallons. A good way to test to see if you have added the proper chlorine residual is with a high range chlorine test kit. These Total Chlorine water quality test strips combine a high range of detection with an easy to ready patented indicator. These strips allow you to check for high levels of chlorine present when santizing wells and pipelines. Checks for levels from 0 - 80 PPM. 50 tests included.